Yellow journalism is a style of reporting in which sensationalism is emphasized over facts. Much of its history leads back to being the cause of the rise of much international conflict, especially in the war of Cuba and the sinking of the U.S. battleship the Maine. Today, yellow journalism is used a lot to attract attention from readers. It’s used especially in celebrity news, but has also been used with bigger issues such as Ebola. Yellow journalism uses some intense exaggeration in order to catch attention to make readers look further into the piece of news. For example, in the above image from Bloomburg, the text “Ebola is coming” is shown in what appears to be blood. In smaller letters below, the text says, “The U.S. had a change to stop the virus in its tracks. 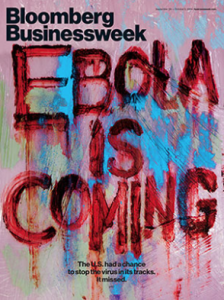 It missed.” Ultimately, this form of journalism makes Ebola seem like some kind of zombie apocalypse ready to take over America. Celebrities are a favorite target for yellow journalism, just because their lives are so prolific already. The Kardashians are a favorite. 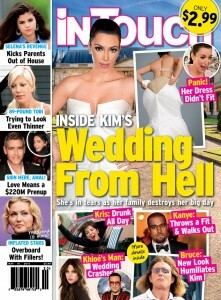 On a cover for InTouch Weekly, Kim Kardashian was used, with the magazine claiming that her dress didn’t fit, and also showing a fake photo. 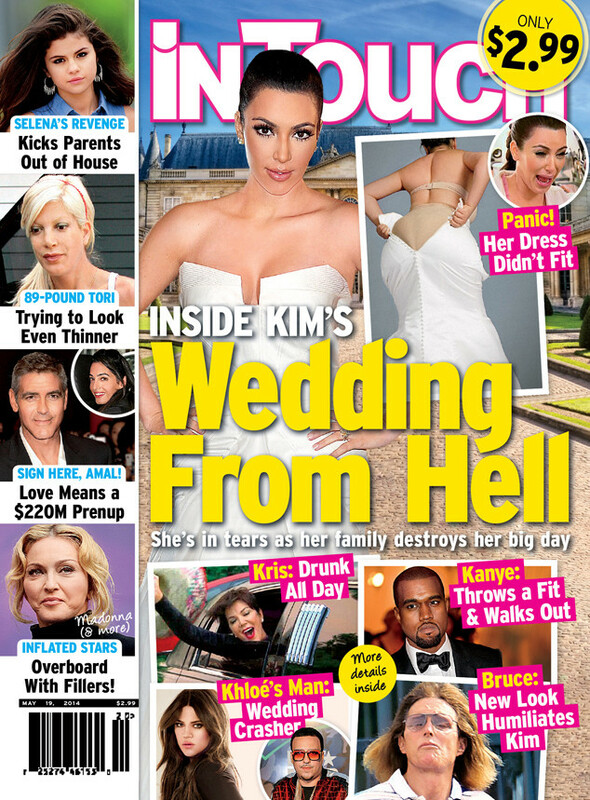 Aside from Kim being the main part of the cover, nine other celebrities are shown as well on the cover, all victims of yellow journalism as well. Yellow journalism can be found on any newsstand today, as these magazines know that their exaggerated covers will spark attention, no matter how false the information is. Is Facebook hurting political reporting? The internet is buzzing as Americans wait to see who will win the NY primary. Polls are showing Hillary Clinton and Donald Trump as the frontrunners while fans of Bernie Sanders are still hopeful. A steal is unlikely, but possible, depending on who you’re receiving your news from. Every major news outlet is tuned in to the primary with reporters and journalists updating the American people with a play-by-play. Imagine this election before the time of Zuckerberg. Would Trumps antics been as talked about? Or how about Sarah Palin’s support speech on his behalf. Would the bird who interrupted Bernie Sander’s speech have gone viral? Would the details of this election have been ignored or redacted? The details, the drama that we all hate to admit, we care about. Networks aim to appeal to millennials. How do they do this? By meeting them, we’re they are at, Online. They’re live streaming on site, posting to Facebook, and driving traffic to their pages by interlocking all of their social media platforms. At one time, this may have been considered a ‘smart move’ but now, it’s the norm for how people digest their news. No longer do people solely turn to the New York Times, but instead, rely on their newsfeed to update them. Facebook has changed political reporting. I would argue, for the better. It’s made politics more accessible and digestible for the average American — one who might not be up-to-date on all of the issues. With Facebook, the average person can interact with politics in a fresh way. They can view a Bernie Sanders add, watch a Hillary Clinton interview, and subsequently post a meme all while tracking the polls. All of this, is done, on a single platform — facebook. Facebook, has changed political reporting. No longer can political reporters stay in this high brow bubble. They’ve had to adapt. Adaptation, has lead to a new type of coverage. I’ve used the word a lot, and I’m going to use it again — accessible. This is what makes social media so golden. Political reporting is no longer for political savvy but the masses. Are on campus newspapers dying? Possibly. Many colleges and universities are moving to an online model and dropping the print version of their news. However, this shift may not be the best move as print newspapers are still a valuable resource for advertisers. The question is are student media organizations able to adjust to the change in technology? At most college s the paper prints weekly, which means that stories have a slow release time. It is near to impossible to release breaking news through this platform. For online news organizations, they can quickly post and edit breaking news almost as it happens. Is print news too old to focus on? No. A college paper is something physical you can hand someone. With the large space that is the internet, it is hard to stand out. With physical news, a reader is given something tangible to keep, which would entice them to keep reading. 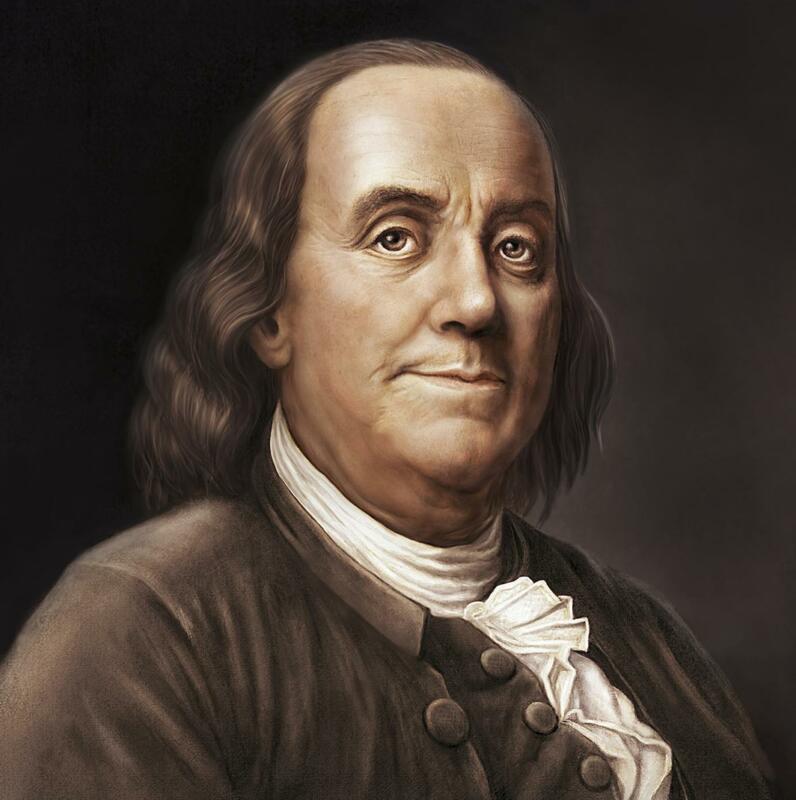 When one thinks of Benjamin Franklin it is difficult to think of him outside the political spectrum. One of the founding fathers of the United States, he contributed much to the Americas in a variety of ways. What some people may not know is that Franklin was more than just a diplomat; he was an author and printer as well. Outside of organizing the first successful American lending library, he and Hugh Meredith purchased the Pennsylvania Gazette from a former boss in 1729. Under the new ownership of Franklin and Meredith, the Pennsylvania Gazette quickly went from a struggling newspaper to the most read and successful among the colonies. The newspaper itself contained many stories revolving around lifestyle and issues of the colonial times. The newspaper would also publish full texts of important political documents of the time such as the Declaration of Independence, the Constitution, Letters from a Farmer, Thomas Payne’s Common Sense, The Federalist Papers and many more. Outside o f ownership, Franklin would regularly contribute to the paper under aliases. One big contribution the Pennsylvania Gazette provided to journalism was the birth of the first American political cartoon. 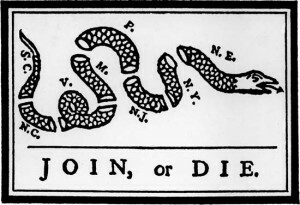 Entitled “Join or Die”, the political cartoon highlighted Franklin’s view of the fragmented state of the colonies and pushed the idea of unity among the colonies. Every crime reporter has the “story of the century”. Little did Jeffrey Toobin know, his story would represent one of the most significant crime reporting stories in the history of the free press: the coverage of O.J. Simpon’s defense. O.J. Simpson was charged in the 1994 deaths of Nicole Brown Simpson and Ronald Goldman. The O.J. Simpson trial stood as a landmark for crime coverage. Never had a case occupied so much of America’s attention. It was not only a question of crime, it was a question of race. Toobin covered the trial of O.J. Simpson over the span of eight months. As a reporter for the New Yorker he would cover the defense strategy for the O.J. trial, led by Robert Shapiro. As his involvement in the trial grew, the O.J. Simpson trial became a national sensation. Jeffrey Toobin would become the center of attention after Robert Shapiro revealed to him his strategy for O.J. Simpson’s trial. They would attempt to use “the race card”, claiming that O.J. Simpson was the victim of subsequent racism. According to Mashable, Shapiro would use the “race card” to make claims of official misconduct against the law enforcement individuals present in the investigation. 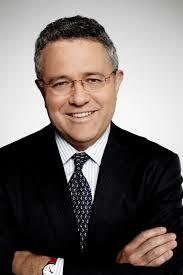 Jeffrey Toobin published the “race card” story in the New Yorker, subsequently making his name in press history. In an interview conducted by Mashable, Jeffrey Toobin stated that he was appalled at the outcome of the case. He stated that O.J. Simpson was “so obviously guilty”. Additionally, according to US weekly, if Jeffrey Toobin could ask O.J. Simpson one question, it would be “why?”. More specifically it would be why he chose to use the “race card” when he had “so obviously” committed the murders. O.J. Simpson did not receive a conviction, and was acquitted in 1995. O.J. Simpson is currently serving time for the armed robbery of a sports memorabilia store. The O.j Simpson still captivates American Audiences. A new FX show entitled “American Crime Story”, tells the story of the O.J. Simpson trial and the subsequent proceedings. A new wave of media coverage is taking over it is all coming from our mobile phones and computers. 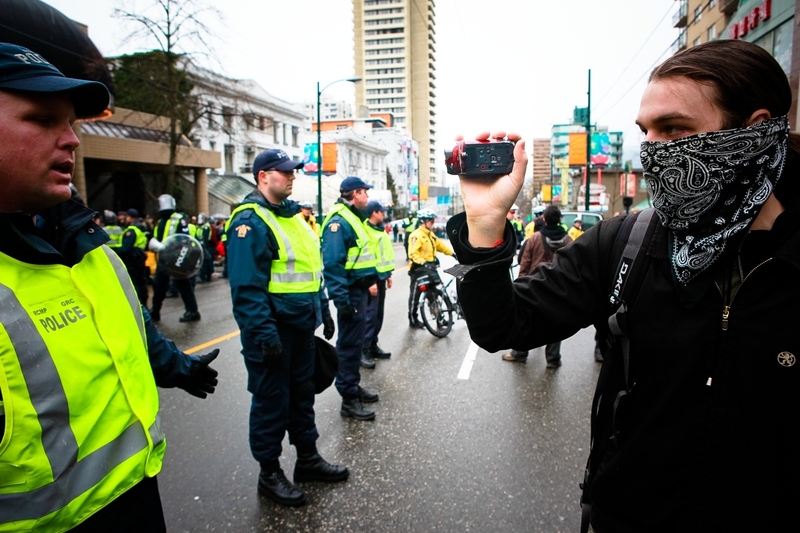 Citizen journalists are taking over media coverage. These “street journalists” are collecting, analyzing and reporting news and information by the general public by using the internet. They are playing an active role in the news citizens consume. Mashable did an interview with Bellingcat’s Eliot Higgins about how to become a citizen journalist. “[They] need to be obsessive but not crazy,” Higgins said. A list of news values was put together by media researchers Johan Galtung and Marie Holmboe Ruge in 1965. They analysed international news stories to find out what the formula and factors were for getting them to the top of the “news agenda” worldwide. Impact identifies the threshold, frequency, negativity, unexpectedness and unambiguity of the story. Audience identification identifies the personalisation, meaningfulness, reference to elite nations and reference to elite people. The pragmatics of media coverage identifies the consonance, continuity and composition. Galtung and Ruge’s analysis explains the pragmatic reasons why certain news stories are not reported. Their website explains the mass Burmese demonstration in 1988 that failed to receive media coverage. This was because the hostile regime of General Ne Win barred overseas journalists from the country. They contrast this story with the mass demonstration in 2007 that received more attention because civilians had the technology to report the story with their mobile phones to send instant coverage out to the news and civilians. 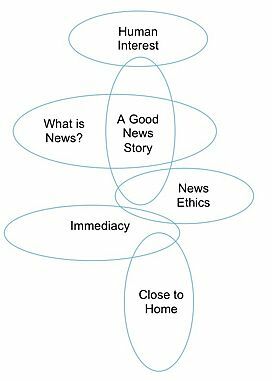 Galtung and Ruge argue that journalists tend to select stories that have high news values and score a one or more of the news factors. By now we can all understand the power of word of mouth. It allows use to spread information to each other and keep up to date on current events. And with the technological advancements we have today, word of mouth is more powerful than ever with information being able to be sent within seconds. But what happens when the information that is spread quickly from person to person is false? Sometimes our ability to spread and share information as simple and fast as hitting “tweet” or “share” can backfire and lead to more harm than good. A funny but excellent example of when word of mouth can take a turn for the worst is the immense amount of celebrities who have been ‘killed’ by social media. I don’t know about you, but when I see someone tweet “RIP *insert celebrity here*” I immediately search news sources to see if the report is factual. 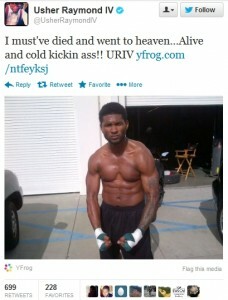 There have been numerous celebrities who have been declared dead on the internet when in fact they are alive and well. These include Justin Bieber, Usher Britney Spears, Cher, Morgan Freeman and Russel Crowe to name a few. Luckily, some celebrities are able to find humor in the matter. While some can see through these false reports, sometimes even top news sources get duped by false celebrity death rumors. In the case of Morgan Freeman, CNN allegedly broke the news via Twitter about the beloved actor passing away. 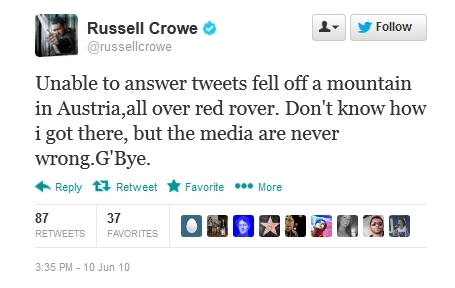 The tweet was then shared by numerous people, including other news sources. While there is suspicion as to whether or not CNN actually tweeted the statement then deleted it or if CNN was hacked, this instance still illuminates an important issue that comes with the power of word of mouth. These instances teaches us a lesson in the importance of citing and checking your sources, as well as the old saying “don’t believe everything you read.” Especially in today’s age when anyone can post something and claim it to be factual news, it is easy to be fooled by rumors and false information. 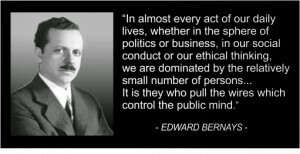 Edward Bernays is considered the first public relations practitioner in the world and a founder of the field. In this case, a public relations practitioner would refer to someone “who d raws on the social sciences in order to motivate and shape the response of a general or particular audience”. Bernays was distantly related to Sigmund Freud and was instrumental in incorporating psychology, sociology and the works of his relative Freud into the then fledgling discipline of public relations. One of Bernays’ first clients was the U.S. Government, who hired Bernays to encourage businesses to hire veterans. This relationship was significant in that it was one of many new indicators of the changing relationship between the government, the press and the people. His use of psychoanalysis to manipulate messages was controversial in his lifetime but nonetheless has had a lasting impact on the way practitioners go about reaching their business goals, even to this day. One of his most notable campaigns was for Lucky Strike cigarettes, in which he effectively normalized women smoking cigarettes in order to increase sales. Throughout his life and career, Bernays published several books that helped establish the practice and begin its frameworks as a discipline. He unsuccessfully attempted to pass legislation that would require the licensing of public relations practitioners a few years before his death in 1995. Ida B. Wells was a prolific activist and muckracker who used her journalistic abilities to expose the brutal lynchings of African Americans in Memphis, Tennessee that were tragically common in the late 1890s. Living in a segregated, post-slavery society, Wells experienced discrimination herself that inspired her to write about the struggles of African Americans at the time. She taught in an all black school and was a vocal advocate for the improvement of their conditions. While teaching she also served as a journalist and publisher of the papers Memphis Free Speech and Highlight and Free Speech, both of which she owned. After a well respected and accomplished businessman in Memphis was taken from prison and murdered in a lynch mob for defending his store from white vandals, Wells took up the anti-lynching. She published articles in her own papers and others across the south. 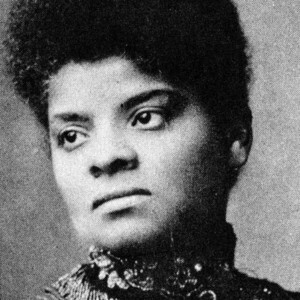 She even traveled to England to expose the horrors of lynching to the rest of the world through her writing and speaking. Back in the States, Wells published an investigative piece on lynching in the New York Age, reaching audiences outside of the south. Wells went on to publish a book called A Red Record, which served as a compilation of all her writings and investigations on the topic. As the founder of the of the National Association of Colored Women, she led a crusade to reform the treatment of African Americans, specifically with regard to lynching and other forms of brutality, to President McKinley. Wells died in 1931 but left behind a legacy of newspapers, pamphlets, books and articles that utilized the printed word and the art of muckracking to enact social change in her community and throughout the country. 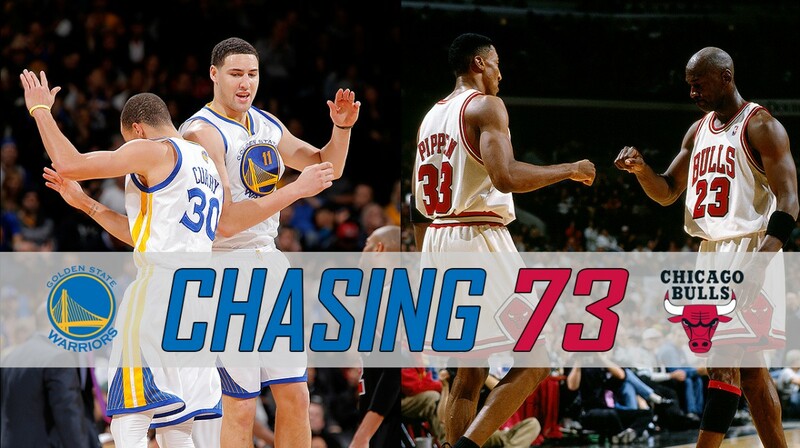 The NBA witnessed one of the most historic ends to the a regular season. ESPN featured three games on the night of April 13, 2016: Miami Heat at Boston Celtics, Memphis Grizzles at Golden State Warriors, and Utah Jazz at Los Angles Lakers. 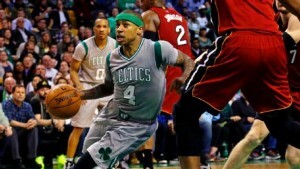 The Boston Celtics found themselves down 26 points to the Miami Heat as they fought for playoff positioning. Led by the Boston Celtics guard Isaiah Thomas, the Celtics were able to mount a comeback in the third quarter of the ball game as they outscored the Heat 25-5. Fighting for playoff position, the Celtics finish the comeback to beat the Heat 98-88.The comeback was one of the largest comebacks of the season and Celtics’s history. The Celtics were able to complete the comeback in front of the Boston Celtics champions of 1966, 1976, and 1986. Even with the win the Celtics did not secure home-court advantage as they travel the Atlanta to face the Atlanta Hawks in the first round of the playoffs. 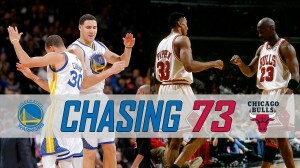 The Golden State Warriors were chasing the 1995-96 Chicago Bull’s 72-10 regular season record that many people believed would never be broken. To end the regular season, the Warriors broke the Bull’s record after defeating the Memphis Grizzles in front of their home crowd. Reigning MVP Stephen Curry scored 46 points and made a record 402 three point shots. Below are highlights of Kobe Bryant’s 60 points in his finale game in the NBA.